Are you great with names? Say you meet someone at a networking event. Will you remember their name tomorrow? Next week? Next month? If you’re like most people, the answer is no. In fact, you’re likely to forget their name within minutes…and sometimes even seconds. But rest easy. According to Kansas State University’s Richard Harris, professor of psychology, there’s nothing wrong with your brain—you’re just disinterested. This psychology—the association between interest and memory—is an important factor to consider as you determine the name for your small business. Because if you want to create a brand with impact, you need a business name that is memorable, and to create a memorable business name, you need to make it interesting to your audience. That is, you want them to connect the name to your business—and connect your business to them. 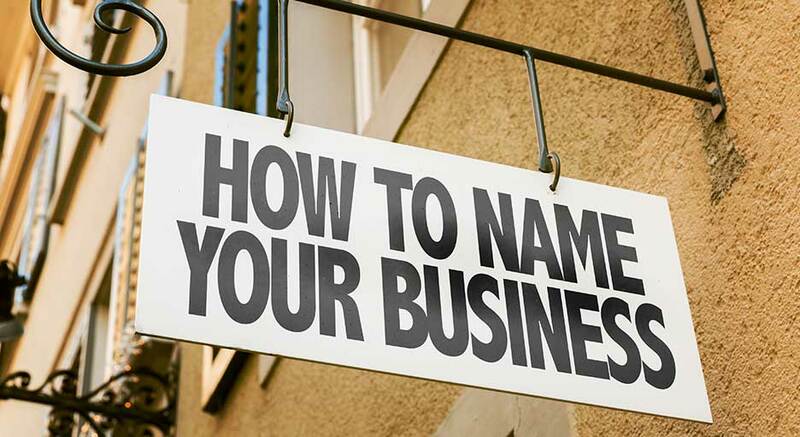 A lot of factors go into naming a business. First, review your product or service and get to the core of what your company will do. Next identify your target market. Remember their demographics and how they spend their time. Then hone in on what your business will do for them, because the key to creating a name that sticks is the ensure that it has purpose (a story that is unique to your brand) and relevance (a story that matters to your audience). * Length. Try to keep the name short and easy to spell. This will help with your email, website and social media presence. And consider identity materials and marketing collateral. Long names are generally not design friendly because they do not scale down well for printing on business cards and small print ads. * Timelessness. Even if your exit strategy is to sell fast, avoid trendy expressions. Today’s “catchy” could be tomorrow’s ineffective or inappropriate. * Competition. What are the names of your competitors? Don’t copy a competitor’s name, but do consider synonyms or similar words. * Stickiness. Go for a name that is unique but not so unique that it will be too difficult to remember. The rule of thumb here is the same as it is in building a successful business. Know your audience. The takeaway here is that your business name does not stand on its own. It is just one element of your overall brand identity, and for it to be memorable it must be part of your broader brand strategy. Once you brainstorm your list, narrow it down, and make final tweaks to arrive at what just might be “the” name, you have to do your research. * Google it! What comes up? * Search domain availability. GoDaddy will allow you to search available domains. If your exact domain is not available, they will recommend alternatives. * Check Twitter, Facebook, and other relevant social media sites. * Use the U.S. Patent and Trademark Office’s trademark search tool to see if something comparable, or an adaptation of it, is trademarked. You do not want to get involved in a trademark case: some 3,500 of them are filed each year in U.S. district courts, according to FTI Consulting Inc., and the legal costs could hinder the growth of your business . Once you have finalized your name, get feedback from people you trust. Then share it with more contacts and a representative sample of your market. Remember: business names are like first impressions. It’s easier when you get it right your first time.